At this point, noise music and the dance floor are all but constantly intertwined. From complicated and obscure underground dance to big-budget dance-pop, distortion seems to be the preferred method of attack. Emptyset, a British duo consisting of James Ginzburg and Paul Purgas, fit snugly into this noisy climate, and their fourth full-length album rides the center line between eccentric drone music and punchy noise techno. The album finds Emptyset approaching composition with extremely minimalist structures and attitudes, but the sound here is grounded in totalism. Borders is a noisy but restrained record. Its 11 tracks don’t move forward as much as they swell and throb, teeming with life, but not really going anywhere in particular. 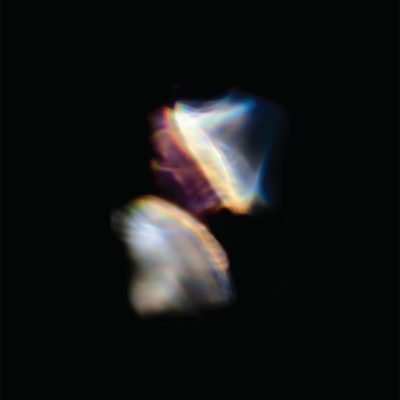 On about half the tracks, Emptyset go in for the kill and let powerful riffs carry the music. Cuts like “Speak” and “Axis,” two mid-album highlights, let their rhythmic ideas play games with a bed of static, both parts cutting in and out of focus as the duo processes the sound live. While these tracks don’t seem to offer a lot of variance on the surface, there are countless minute and almost imperceptible changes that take place in the mix. Something as subtle as a flare of noise or a stutter in the riff can serve as a startling shift from the repetitive grooves, and these two stand-out tracks showcase how highly effective Emptyset can be at creating interesting music out of little material. Another portion of the album’s tracks incorporate a spacious atmosphere, and these styles function best when paired with Emptyset’s more focused and tangible material. When a track like “Across” uses ambience as its sole mode, it’s tough to find the same sense of power or structural drive, diluting the impact of Emptyset’s complex performances. However, on a track like “Retrieve,” a two-part structure serves a good purpose. The track begins with low, grumbling stretches of sound before it abruptly shifts into a dance-reminiscent section, replete with clipping instrumental riffs and bursts of noise. The ending builds to great intensity, with distorted and booming kick-drums that recall some of the busier moments on Oneohtrix Point Never’s 2015 gem Garden of Delete. When these tracks don’t go over quite as well, it’s for a lack of successful variations. “Sight” is similar to other tracks in its one-dimensional structure—however, instead of offering an interesting change in timbre or rhythm, this track (and a few other lackluster cuts like “Body” and “Ascent”) doesn’t offer any sort of twist or differentiation throughout its runtime. Thankfully, Emptyset end the record on one of the strongest. “Dissolve” incorporates chaos in a way that’s all but missed on many of the earlier tracks. Its subtle groove is slowly overtaken by rushes of noise until the ending becomes completely overpowering, a dramatic and chilling closer.